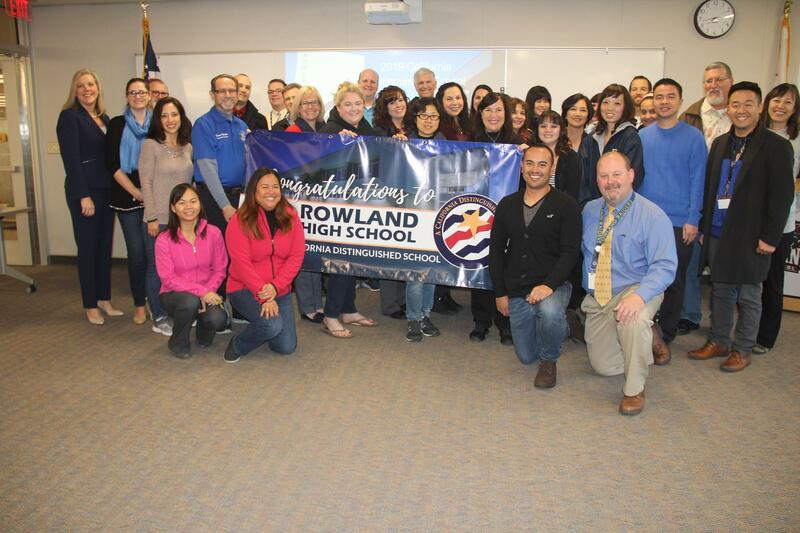 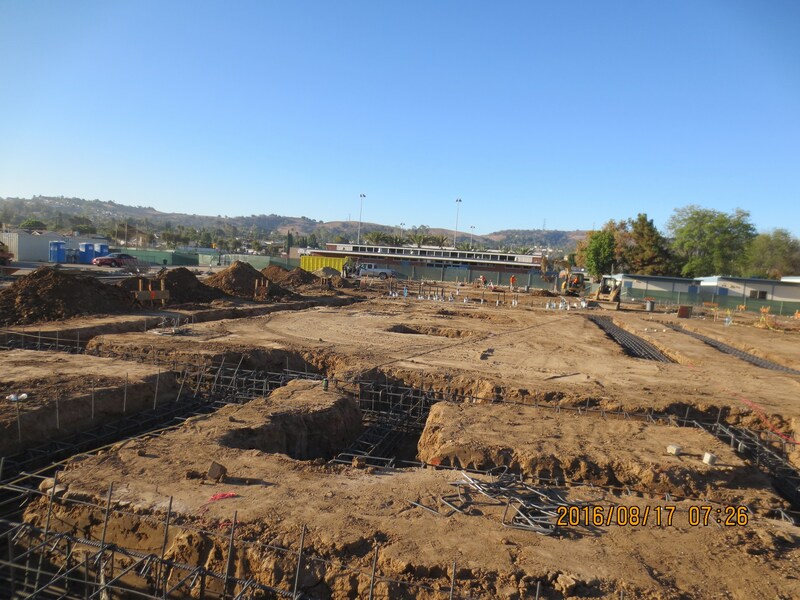 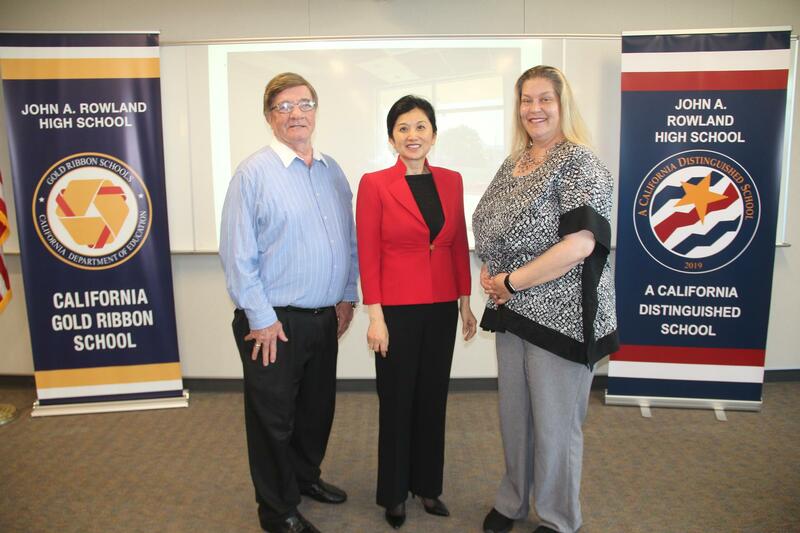 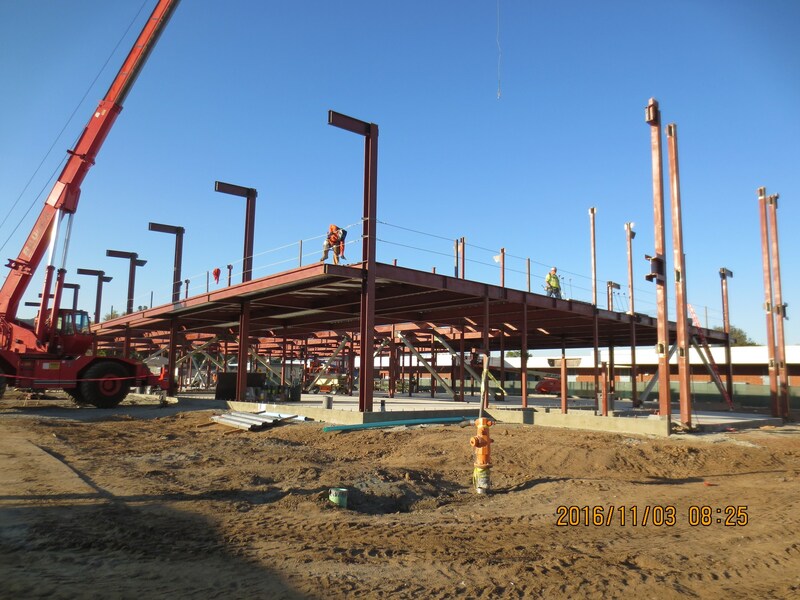 Thanks to our community, the Rowland Unified School District, the $55 Million Rowland High School Revitalization Project is underway due to the support of the Measure R 2012 Bond. 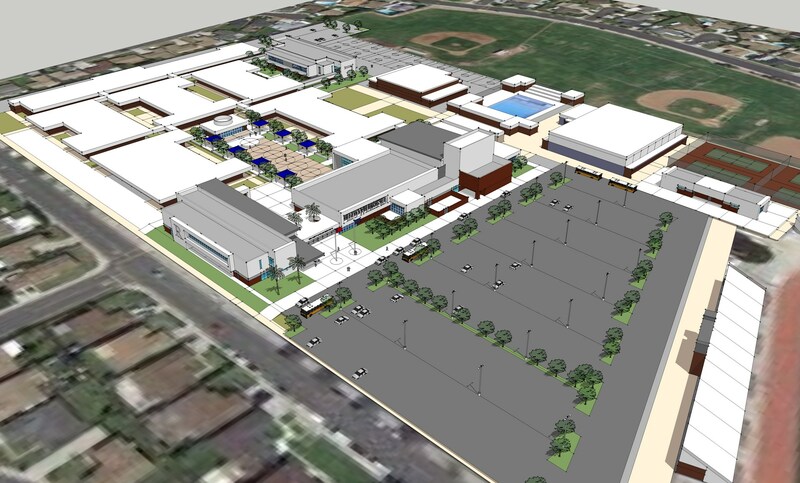 The proposed renovations will mark a major shift in the outward appearance, student life, educational offerings, community interface and the 21st century readiness of the Rowland High School campus. 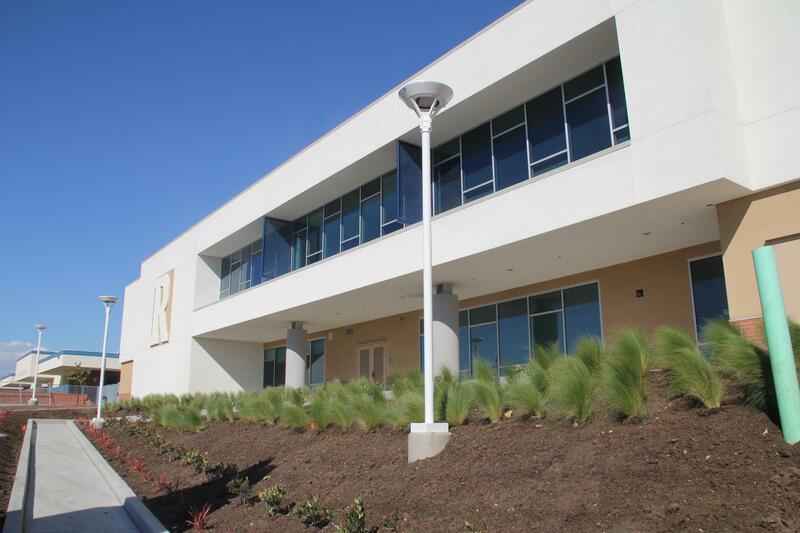 NEW BUILDINGS: More than 120,000 square feet of new buildings are being built. 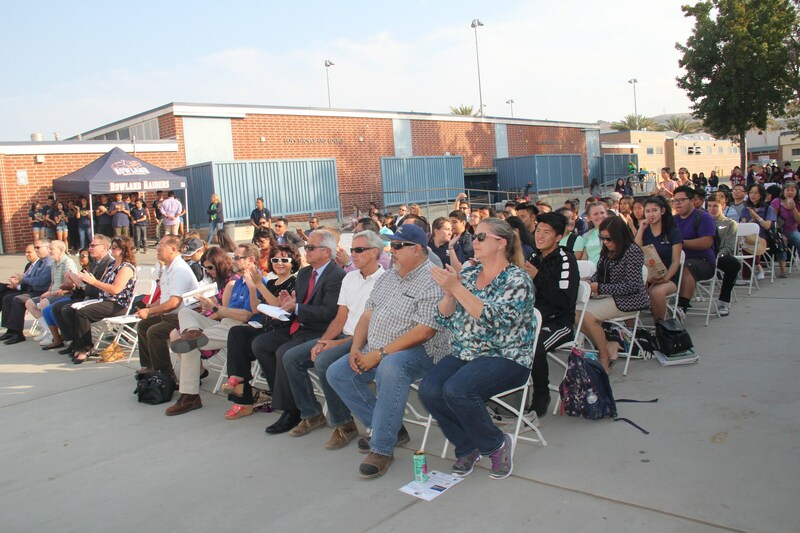 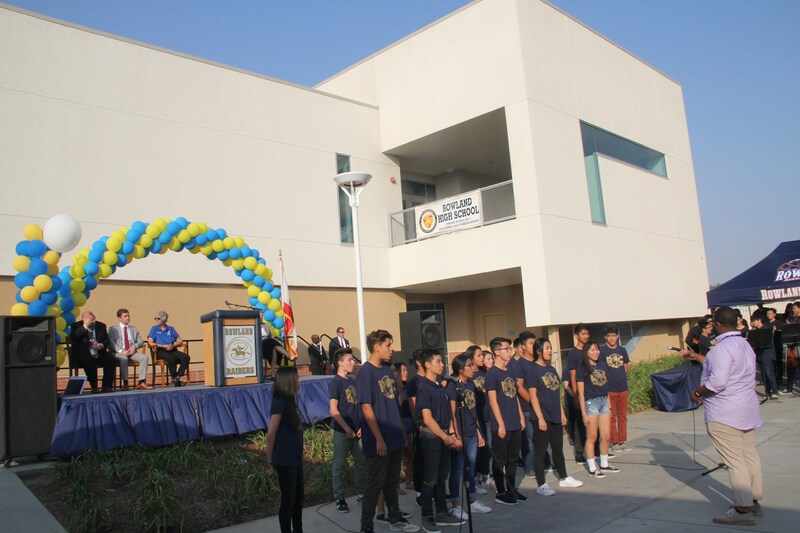 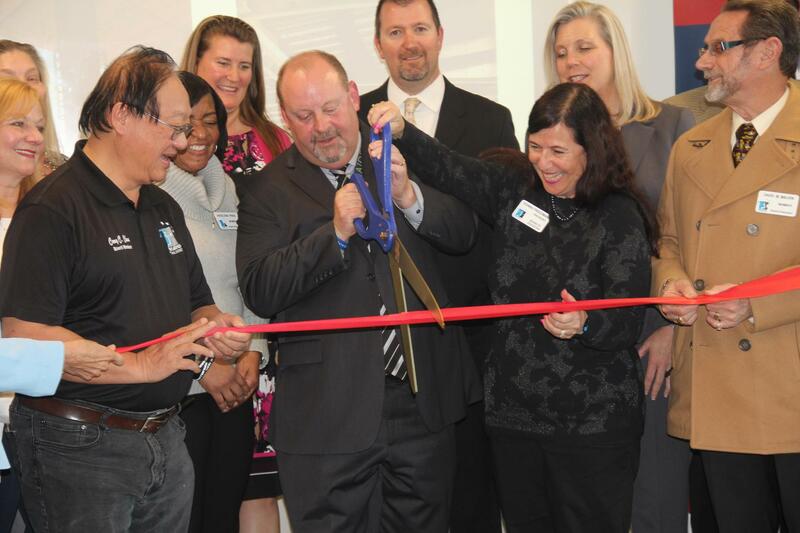 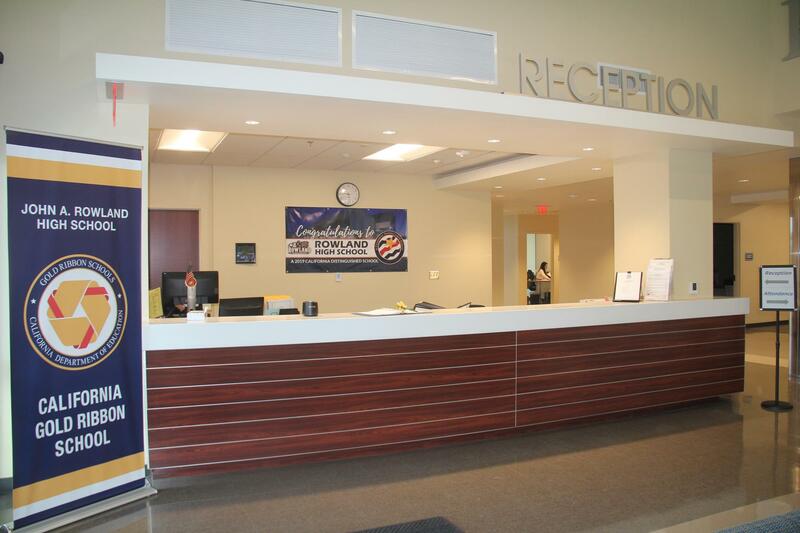 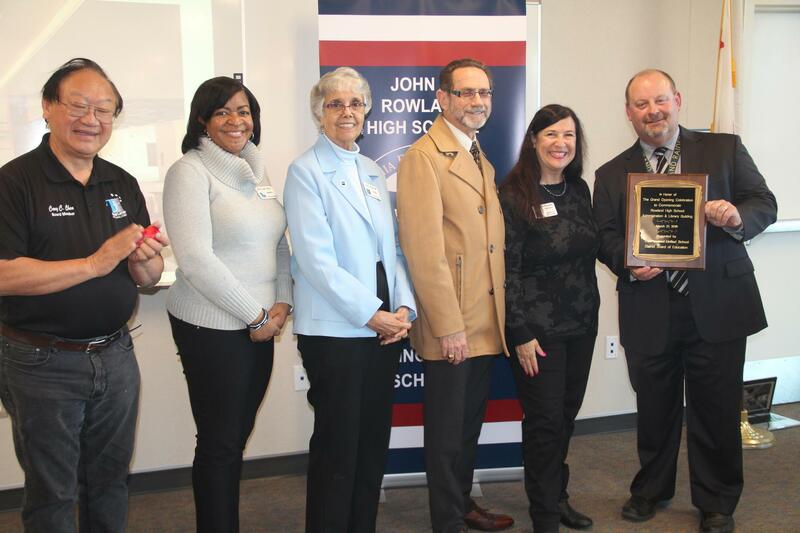 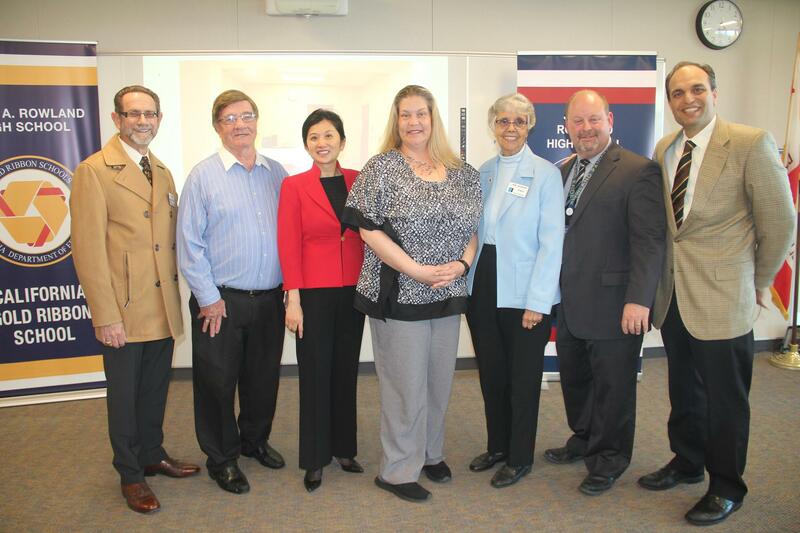 New Administration/Library Building: The Rowland Unified School District Board of Education and Rowland High School celebrated the official grand opening celebration to the community of the new Administrative and Library Building on March 21, 2019 (it had opened its doors for students at the start of the second semester). 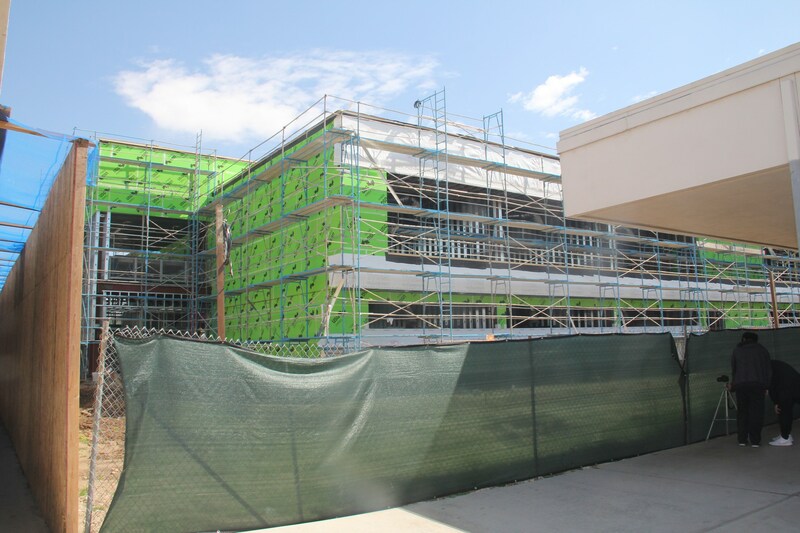 The beautiful new two-story building is equipped with the latest technology and learning environment for students and teachers.The first floor features administrative office space, health and counseling offices, three conference rooms and teachers' workroom area. 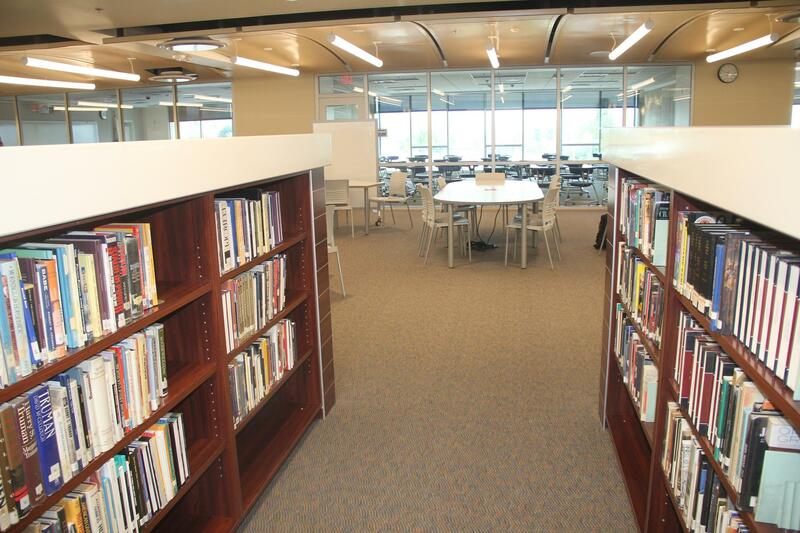 The second floor library features 15,010 feet of student learning and collaboration space wtih student-designed modern furniture, three classrooms that can open to one larger space to accomodate testing, guest lecturers and general instruction, a computer lab and two additional meeting rooms. 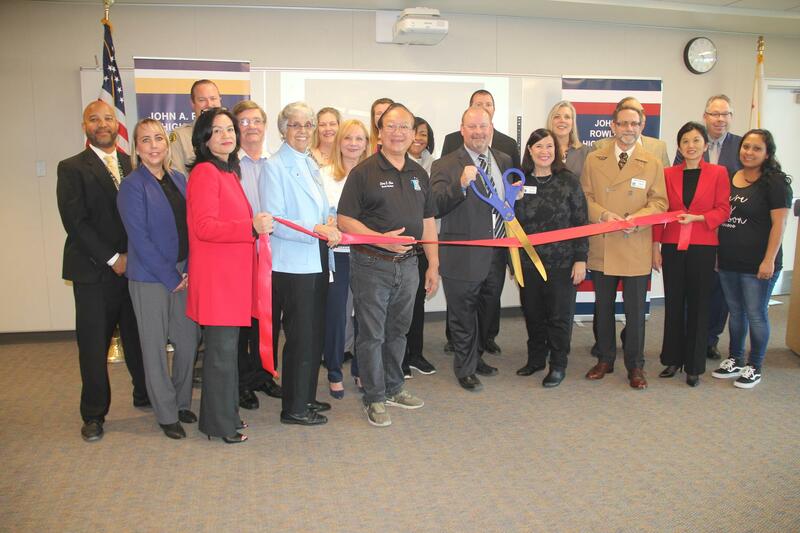 (Click below to view the Fact Sheet). 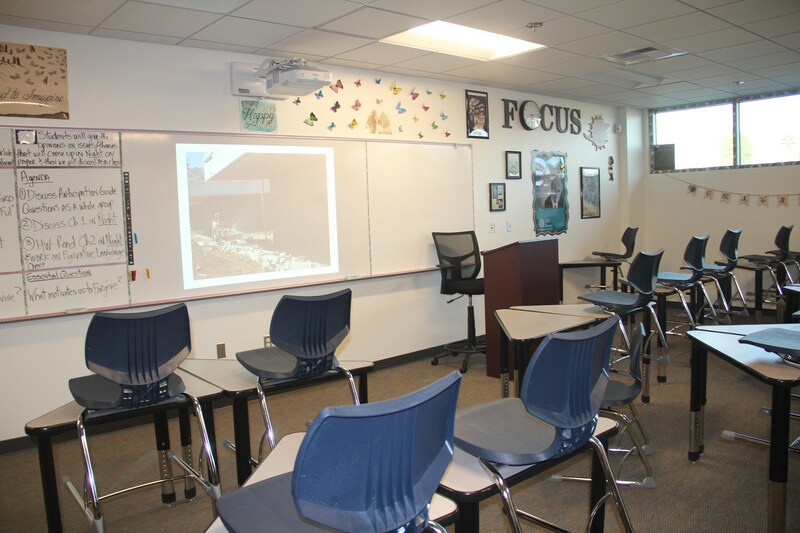 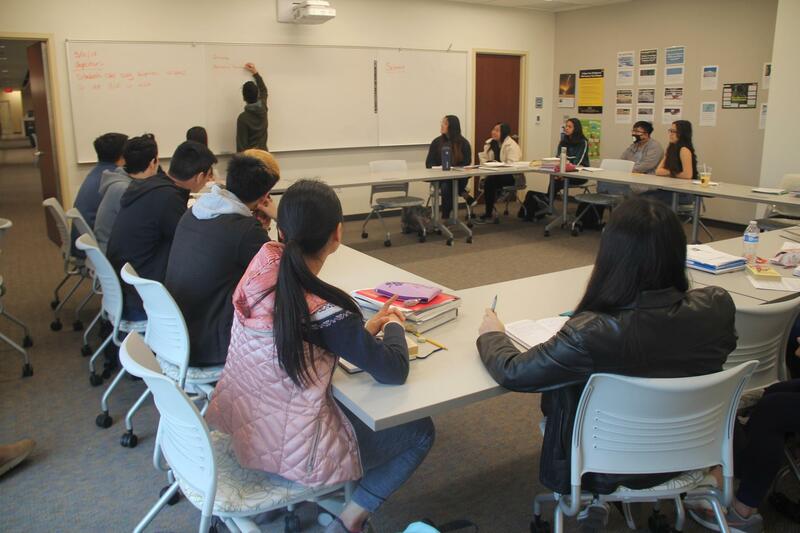 New Building R Classroom FINISHED: The first phase of construction was a new two story, classroom building situated in the northeast corner of the campus. 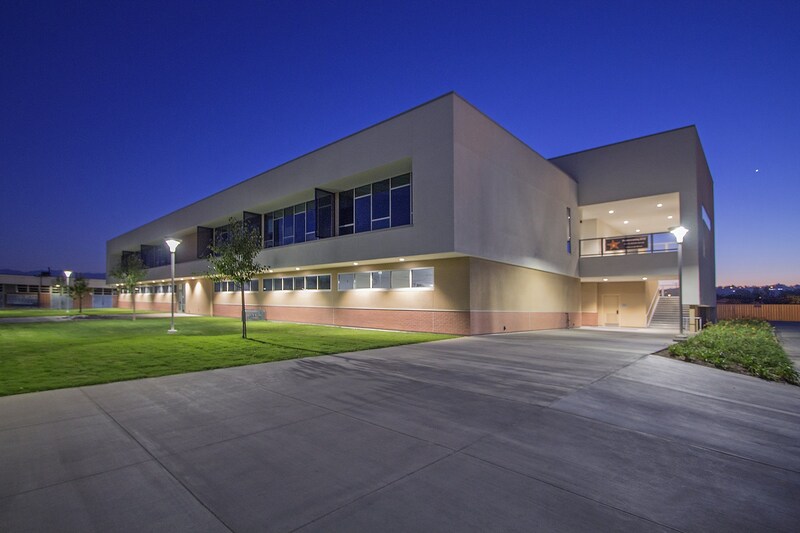 This building replaces the vast majority of the portable classrooms that currently populate the campus. 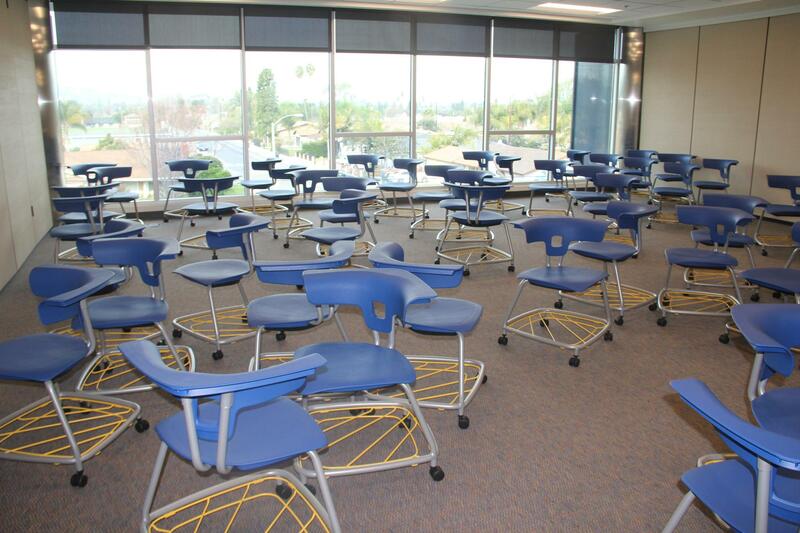 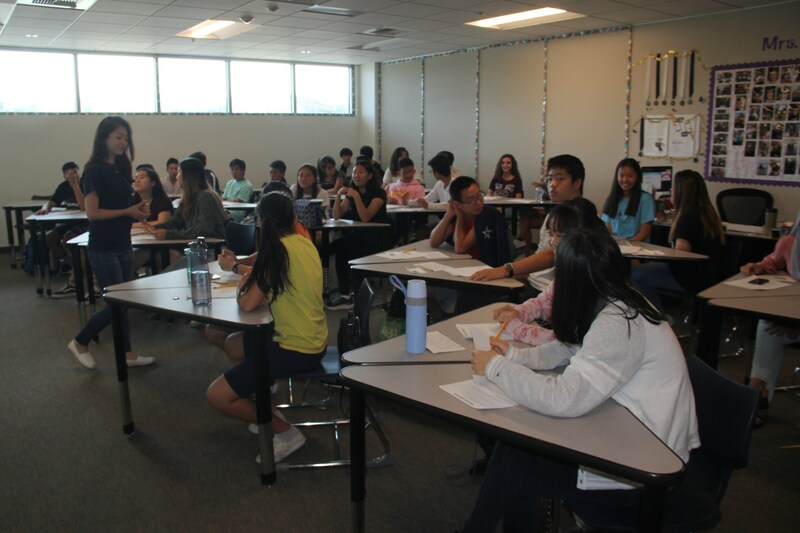 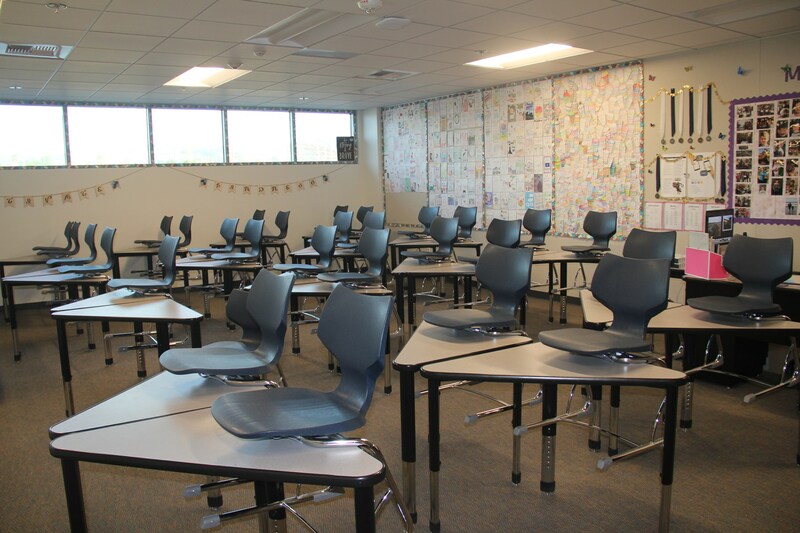 This two-story building features 22 new classrooms with each featuring interactive whiteboard and voice amplification systems, two teacher workrooms, and two sets of student restrooms. 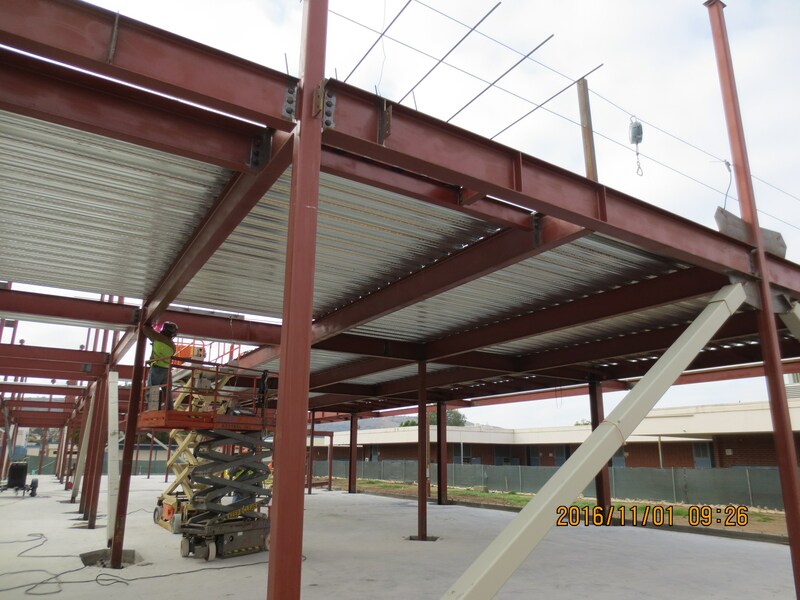 It houses most of the English, World Languages and English Language Development departments allowing almost all students to access a new learning environment this new school year. 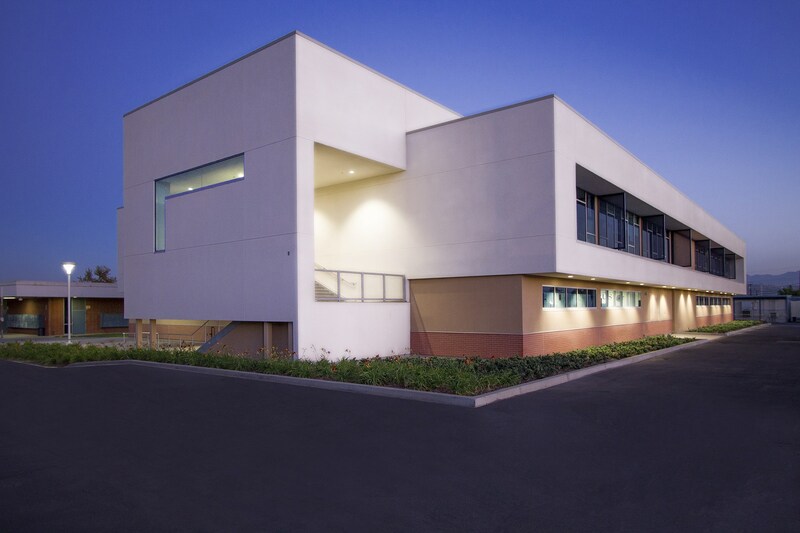 *Buildilng R Fact Sheet Below. 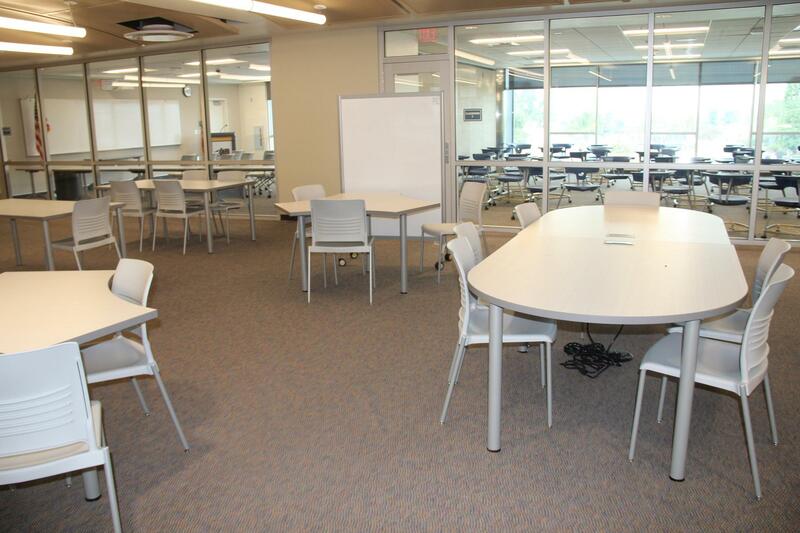 New Multipurpose Room/“Hideout”: Located across the breezeway and just to the east of the new office building, the new multi-purpose room/” Hideout” has entries from the outside. 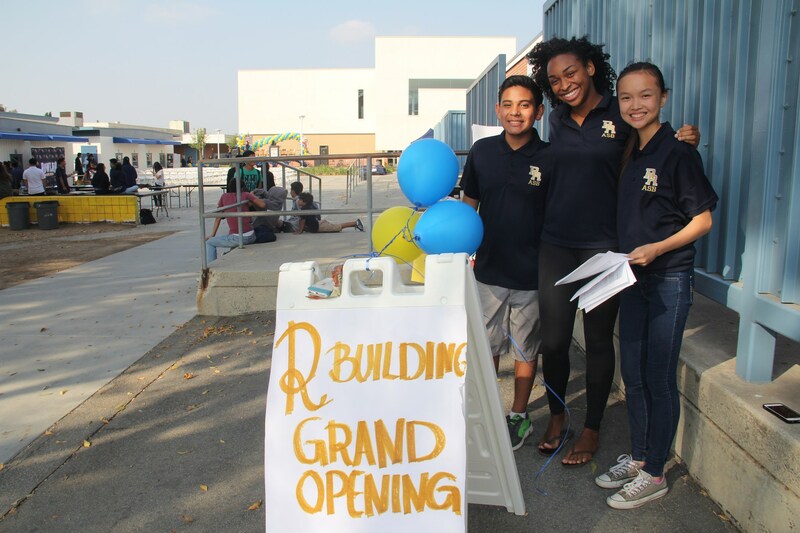 The new building and parking lot make it ideal for both daytime and after school events. 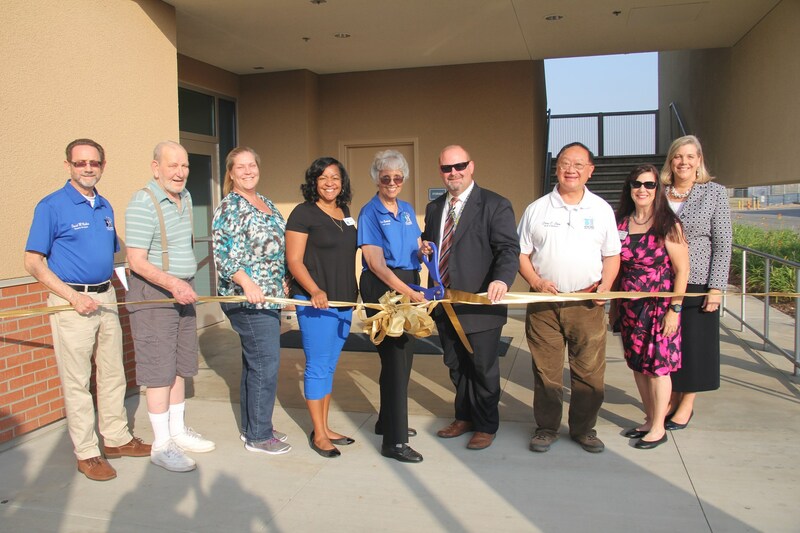 The new area will provide significantly more space for the District’s nutrition program and offer a variety of service styles for students and faculty. 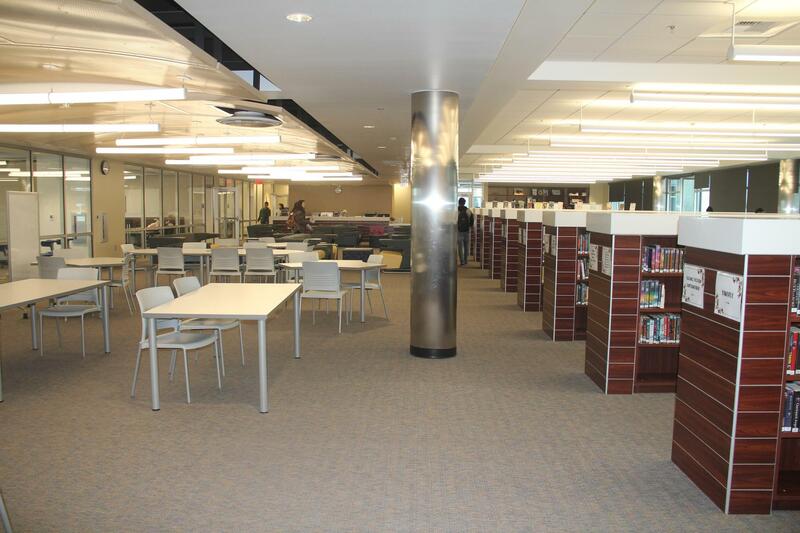 The new faculty dining room adjoins the “Hideout” and includes restrooms and a private outdoor patio. 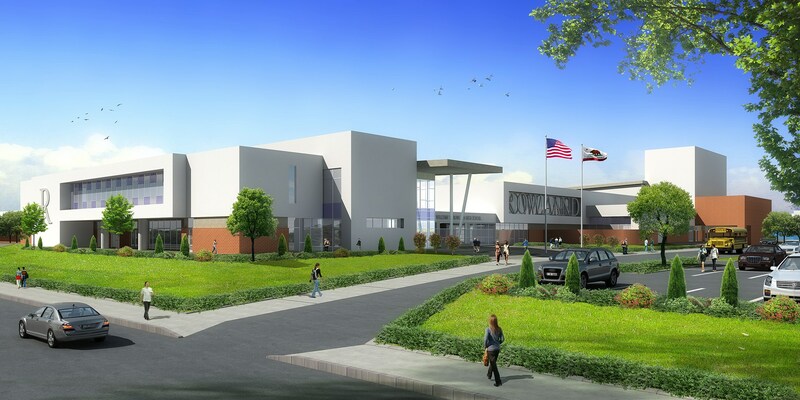 New Performing Arts Center: A major new addition to the campus that will be utilized by the community is a new performing arts center. 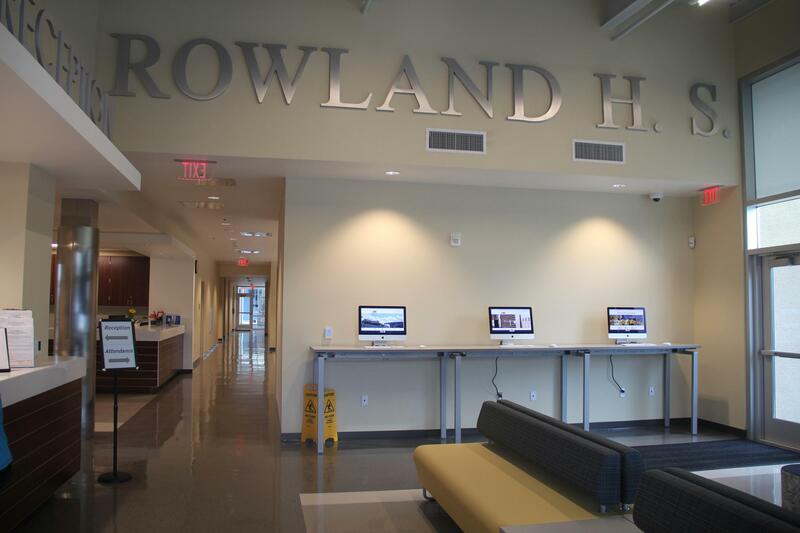 This building includes instructional space in theater arts and music. 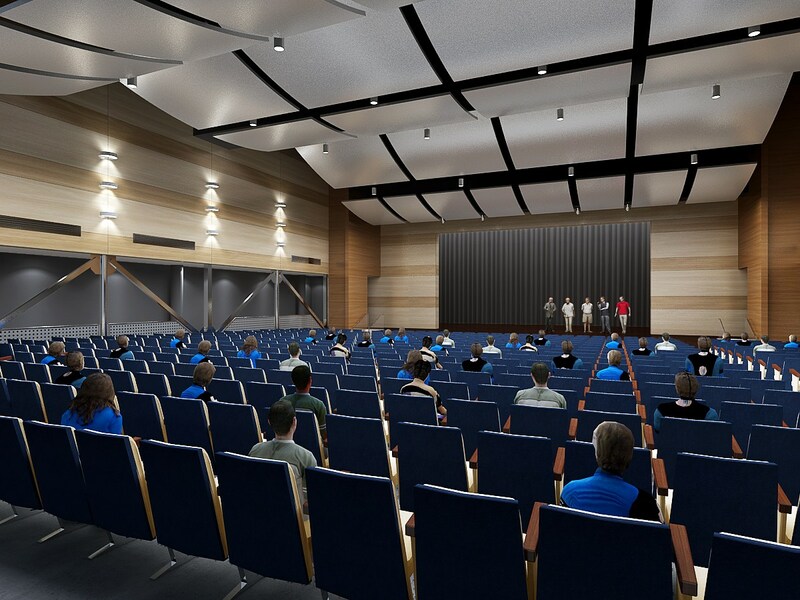 The performing arts facility itself is envisioned as both a performance and a teaching area with state-of-the-art stage rigging/lighting with two control booths and an above-house catwalk lighting grid. 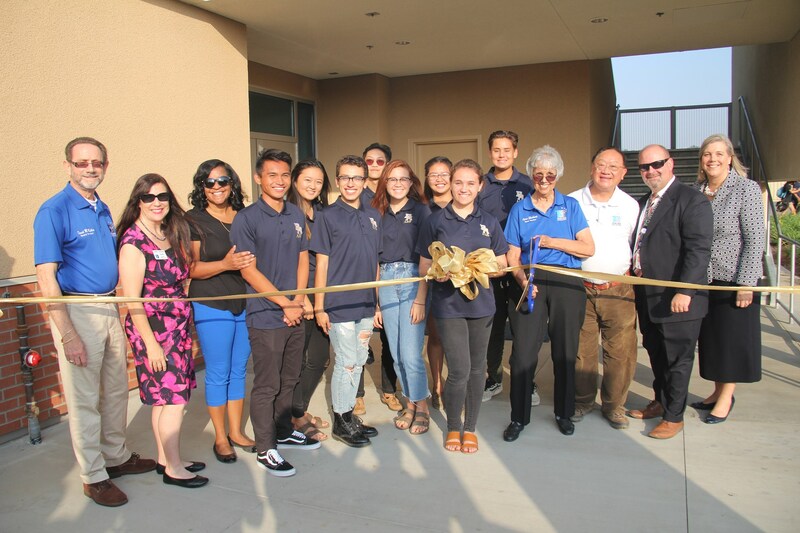 The new band and choir rooms replace the existing facilities and still offer access to the drop-off lane and stadium, as well as direct access into the auditorium.